The Off Lease Only car donation to Cecil and Margaret Lennon was one of the most touching moments of 2018 for the team. Cecil and Margaret Lennon weren’t sure how they were going to pay to keep their 1999 Ford truck running and on the road. Cecil and Margaret Lennon outside their home in South Bay needed a car to get to and from doctors appointments and to help get their grandkids to school. “We’ve kept the truck going on a wing and a prayer,” Margaret said. Less than 24 hours after telling their story of struggle and heartbreak, the Lennons learned they wouldn’t have to worry about their truck anymore. 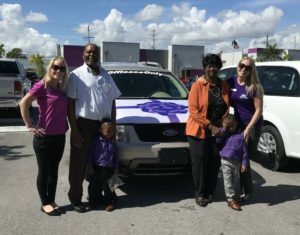 Instead, they were stunned when they were handed the keys to a 2007 Ford Freestyle, a crossover utility vehicle, donated to them by Off Lease Only. “This was a real surprise,” Cecil Lennon remarked, while Margaret fought back tears. The Off Lease Only car donation, one of several Off Lease Only makes each year, came after owner Mark Fischer read about the Lennons in the Palm Beach Post. Featured during the holidays in the Post’s Season to Share series, the Lennons are retired farmworkers from South Bay who are both battling cancer while raising two young grandchildren. Cecil and Margaret take care of their grandchildren Eli & Elijah and need a vehicle to get them to and from school. 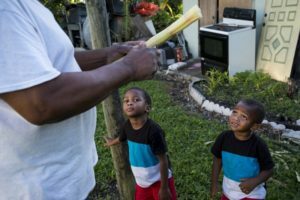 Clients of the Farmworker Coordinating Council of the Palm Beaches, the Lennons received donations that helped with home repairs and clothing for their grandsons, Elijah, 4, and Eli, 2. Reliable transportation, however, remained a pressing need. “Their old truck is on its last legs and they have to come to West Palm Beach for their cancer treatments,” said Carlos Perez, program director for the Farmworker Coordinating Council. Perez and farmworker council Executive Director Sergio Palacio explained that the Lennons have suffered through a series of trials and tribulations. “Everything was going fine for them and then life got in the way,” Palacio said. The magical moment handing the keys to the Lennons! 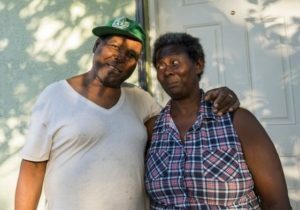 Working for decades in the fields of Florida during the winter and the cornfields in Georgia, the Lennons scraped up enough money to buy a home. Then a series of tragedies struck the couple’s lives. In 1999 their two sons Jerry, 16, and Jacob, 13, drowned in a West Palm Beach canal during a fishing trip. Cecil was then diagnosed with prostate cancer and had to stop working because the treatments made him too weak. After believing the cancer to be a thing of the past, the prostate cancer return in 2015. Two months after Cecil’s recurrence, Margaret was diagnosed with breast cancer. Despite their conditions and circumstances, a month later, the couple took in Elijah and Eli after the boys’ parent’s lost custody. “They have really struggled,” Palacio said. When Fischer, who founded Off Lease Only in 1994, learned of the Lennons’ story and their need for reliable transportation, he knew he had to help. 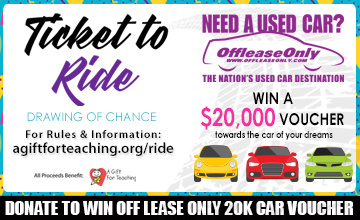 “An Off Lease Only car donation was a must. We wanted to go ahead and complete what the Farmworker Council and the Palm Beach Post started,” Fischer said. With their Ford Freestyle the Lennon’s have some peace of mind and can focus on their treatment and grandsons. 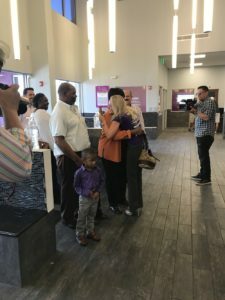 Palacio, who was at Off Lease Only’s West Palm Beach area store when the keys to the Freestyle were handed over, said he got choked up when he saw Margaret and Cecil’s reaction. 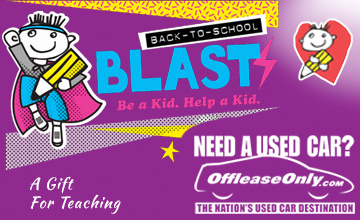 To watch the video CLICK HERE learn more about Off Lease Only and the vehicles it has available, call 866-537-2479 or visit OffLeaseOnly.com. 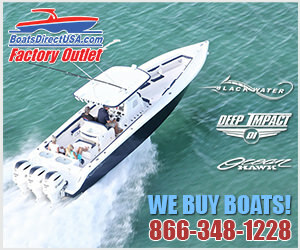 To get driving directions to the location nearest you, simply click the banner below. 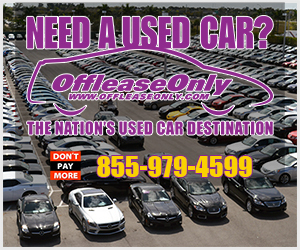 ← Previous Story Off Lease Only Boasts More than 5,000 Used Cars, Trucks, SUV’s & Vans for Sale!